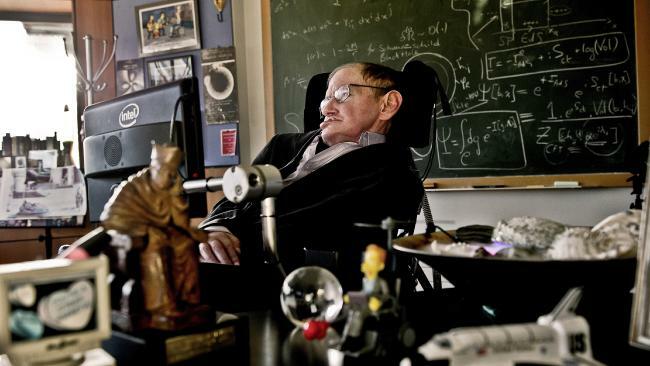 Stephen Hawking watches Phil Mickelson's putt for a 62 yesterday. Stephen Hawking has announced this morning that he is to devote the rest of his life to figuring out why Phil Mickelson's perfect putt for a 62 at The Open didn't drop. It's set to be his toughest challenge ever. "I haven't a bulls notion how that bloody putt didn't drop; it looked in all the way,"the English theoretical physicist, cosmologist and author of A Brief History Of Time told a packed press conference. "Feckin' robbed he was. Robbed." Here's the evidence from several angles.